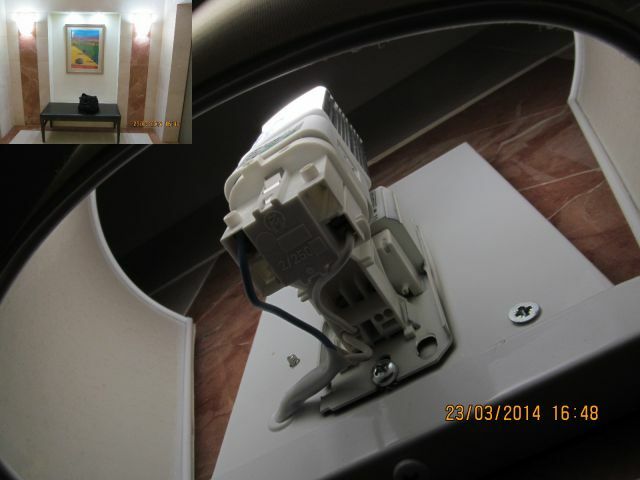 When I enter to Pisgat-Hen protected housing for the eldry, to meet my grandma, I've noticed that all of the 13W TC-D CFLs at the fixtures of the wall of the corridor, were replaced by 5W LED retrofits with the same G24d-1 2-pin bases, connected to the preheat/switchstart ballast of the former lamps. With this action, they saved 8W for each lamp, but the overall lighting was reduced dramatically, and is dim and harash bluish white (Worser than the PL-Cs). This is the first time I've seen LED lamps with G24d-1 2-pin base for retrofitting preheat PL lamps.